Lake Gardner ERUPTS in an arc of Spray! 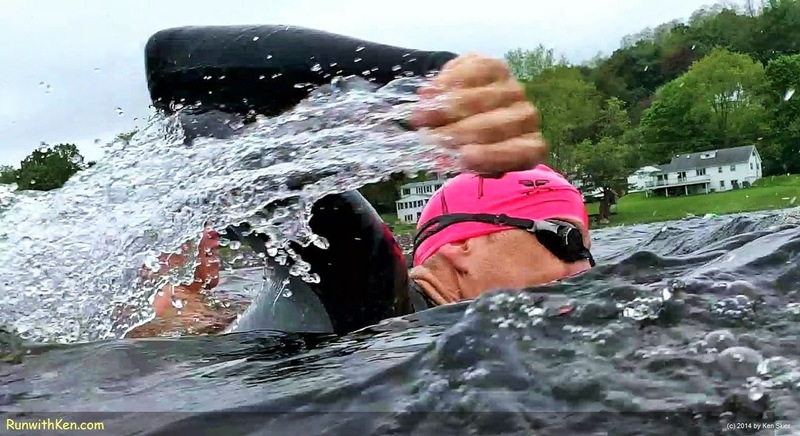 Open Water Swimming at the One-Mile Lost Sailor Swim in Amesbury, MA. Watch the water leap into the sky! when this swimmer came up alongside me. I took this photo as we both reached forward. Didn't stop or slow my stroke. Why do I swim with a camera? again, after I reach dry land!